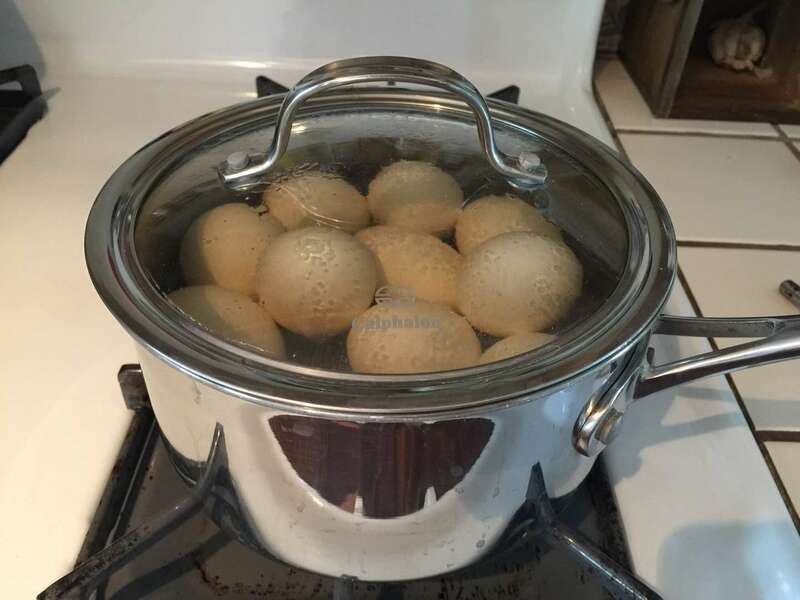 Ensure there is 1 inch of water above the top of the eggs. The eggs will float, but you can estimate an inch of space. This will help the shell separate from the egg after it is cooked. 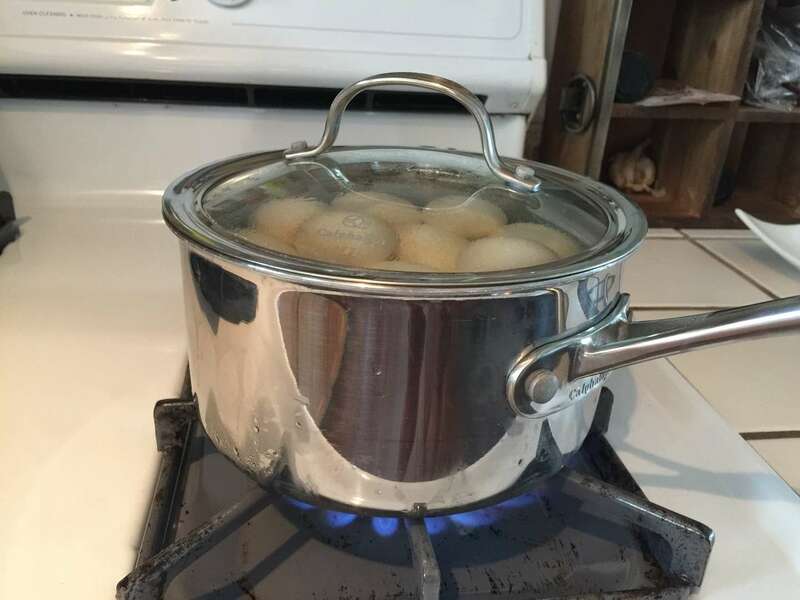 Once the water comes to a rolling boil, turn the burner off and leave the pot on the stove for 15 minutes so that the eggs will finish cooking perfectly. 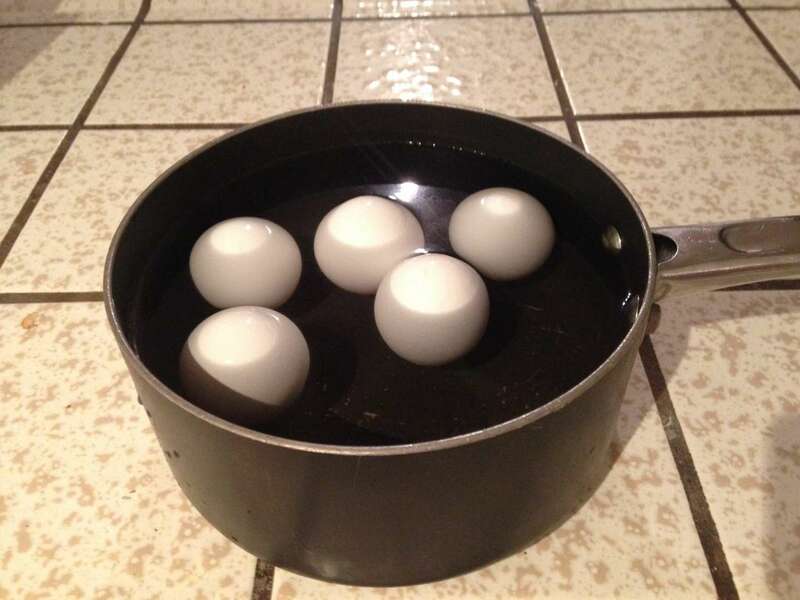 This will cause the eggs to stop cooking, and help you separate the egg from the shell. I like to do this by carefully ladling them into a bowl full of cool water. 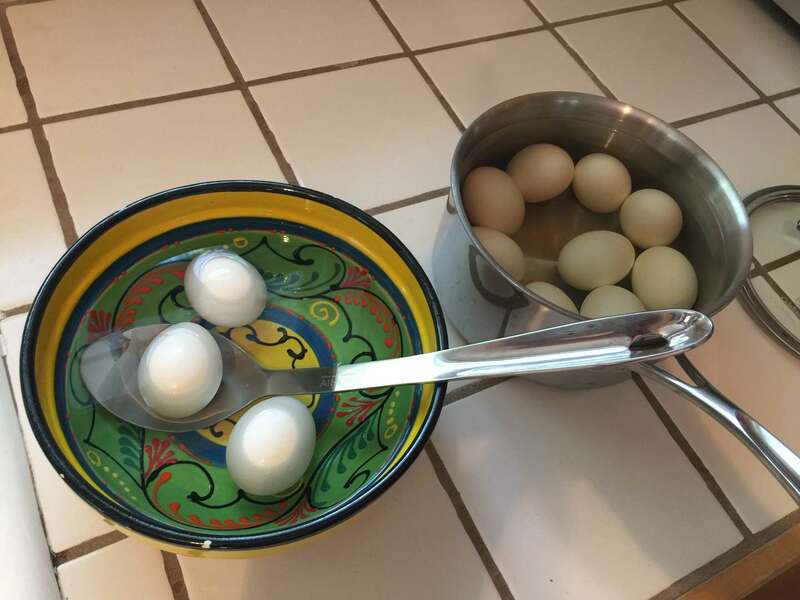 Once they've cooled, I drain the water and leave the eggs in this bowl in the fridge.